Is this year slipping away from you? Major deadlines for reporting to the CMS Inpatient Quality Reporting (IQR) program are approaching. What to do?! Play the classic board game, IQR Land of course. Try not to get lost as you navigate the dangerous terrain found within IQR Land. Journey through mountains and forests, across rivers and fields while navigating the submission deadlines for each IQR program requirement. And for those of you who feel that this much color upsets your intellectual sensibility, we’ve made a very boring calendar for your viewing pleasure at the bottom of this blog. 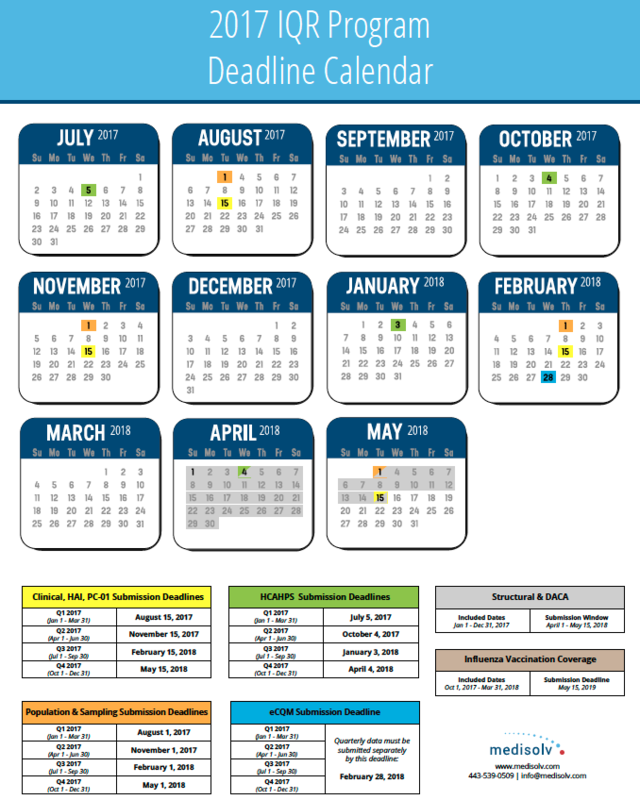 To help you on your journey here is a summary of the Hospital IQR program deadlines that you’ll navigate below. Good luck explorers! Data must be submitted no later than 11:59 pm PT on the submission deadline with the exception of HCAHPS, which must be submitted by 11:59 pm CT; validation medical records must be received by CDAC no later than 4:40 pm ET. Validation for fiscal year 2019 includes Q3 2016, Q4 2016, Q1 2017, and Q2 2017.